Yahoo! 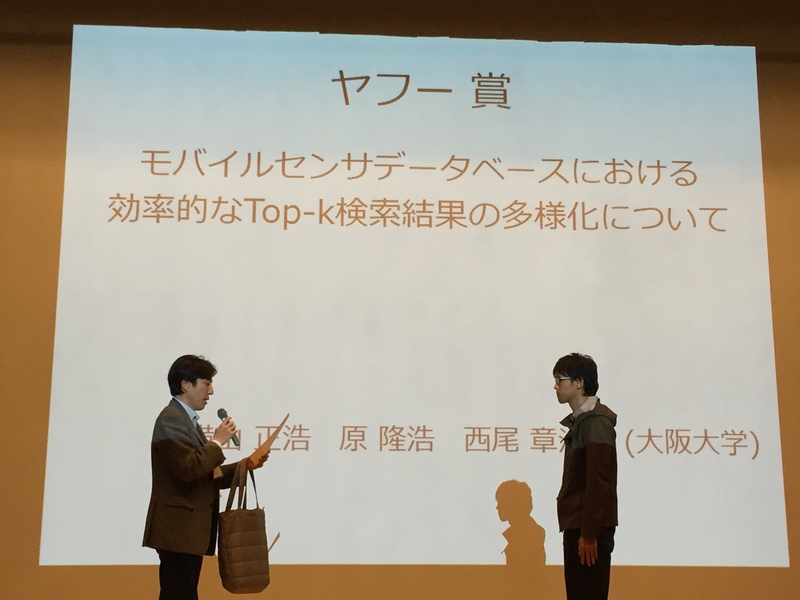 JAPAN was the cosponsor of the WebDB Forum 2015 (8th forum on the web and databases) (External site)held on November 24-25, 2015 at the Shibaura Institute of Technology. We’re very interested in the topics of how best to utilize location data, how to effectively extract data with the highest scores from large amounts of data (top-k), and how to ensure data diversity. So we have high hopes for further development in these areas.